Tana Amen:	And I'm Tana Amen. In our podcast, we provide you with the tools you need to become warrior, for the health of your brain and body. 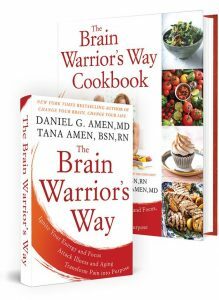 Dr Daniel Amen:	The Brain Warrior's Way podcast is brought to you by Amen Clinics, where we have been transforming lives for 30 years, using tools like Brain SPECT Imaging, to personalize treatment to your brain. Tana Amen:	The Brain Warrior's Way podcast is also brought to you by Brain MD, where we produce the highest quality nutraceuticals to support the health of your brain and body. Dr Daniel Amen:	Welcome back. We're so excited to have this time with Natalie this week, and just talk about what works, what doesn't work in our relationship. But you have a testimonial. Tana Amen:	We do. This is by Rab405." Wealth of information. As a person who has suffered numerous concussions, I have been a follower of Dr. Amen and his brain research for a number of years. This podcast is an excellent and quick way to learn key insights into this research and teachings across a variety of topics." Awesome. Dr Daniel Amen:	It's so common, having concussions that change your life in a negative way, and can completely change your relationships. Natalie Buchoz:	So, we're wrapping up our "Relationship Week", and I'm so excited to be here to talk a little bit about romantic love, and different types of the Amens' relationships, and what they do to make their relationship happy, healthy, and passionate, every single day. So, we're excited to learn from you guys. Natalie Buchoz:	Daniel, let's talk a little bit about one thing that you would recommend to our viewers and listeners, to do every single day. Every single day, whether that's to their partner, whether that's for their partner, or something that you think would benefit their relationship. Dr Daniel Amen:	Well, this will take less than a minute. It's, know what you want. It's this mission statement. It's part of an exercise we do here with our patients, called the "One-Page Miracle". One piece of paper, write what it is you want, and then just get that in front of your eyes every morning, and ask yourself, "Will my behavior today get me what I want, in my relationships, in work, in money, in my physical/emotional/spiritual health?" Dr Daniel Amen:	But on the top of it, Tana is the number-one thing I want. Kind, caring, loving, supportive, passionate relationship. What is it I can do today to make that happen? Tana Amen:	I love that. I do something very similar. I actually love the One-Page Miracle, but what I do is, in my meditation and prayer in the morning, I visualize the kind of day I want to have with my relationship. So, whether it's you, or Chloe, all of that. Tana Amen:	But I'll visualize what I want to happen, because I know that things are going to happen that are going to take me away from that. But if I know what I want the day to look like, I'll get back on that track. So it's really the same thing. "What do you want for the day?" Dr Daniel Amen:	And we talked about this, but just to reiterate, start your day with, "Today is going to be a great day." Because then, your mind talks about it. And if you have a family, a ritual we often do, when we have our cappuccino in the morning, is, "Today is going to be a great day. Why is your day going to be a great day?" And then she'll talk about it. Dr Daniel Amen:	And then at dinner, or at bedtime, "What went well today?" And so, if you have a family, or you with Grady, it's like, "So, what went well today?" And that way, it sets up the conversation for you to be excited about it, where too often, the brain is set on negativity. Because we evolved with lions trying to eat us, and if you can manage your mind by directing it in what you love about your life, more than what you hate about your life, you will love your life. Tana Amen:	And there's one thing I think that's really important, too, and we really didn't talk too much about this. We could do a whole nother thing on this. Make sure you're speaking the same language as the person that you're talking to. Tana Amen:	So, you've got different "love languages". I love the book "Love Languages". Mine is not gifts. Don't shower me with gifts, or try to decorate me. It's not my thing. Dr Daniel Amen:	I like decorating you. Tana Amen:	I know you do. And just saying that bugs me. But it's not my language. Not that I don't enjoy getting a gift. It's just that my number one language, that's not my language. Tana Amen:	So many times this has happened, but I was just under incredible stress, I was so fatigued, felt like I was getting sick, and I had to jump out of bed early in the morning to go take care, I just had more family drama going on than just stuff. Tana Amen:	We had two deaths in the family. I was getting ready to jump out of bed and take on my day, and I had this list of stuff to do. And I was so exhausted. And he literally held me back down and cuddled me. And I'm like, "No. I have to get up." And he goes, "Why?" I go, "Because I have this, this, this, this, and this to do." Tana Amen:	And he looked at me, and he goes, "It's taken care of." I started bawling. And I don't cry easily. I was like, "You did what?" He took it off my plate. That is better than any gift on the planet. And that goes down in history as, "Oh, my God, this is that person-"
Dr Daniel Amen:	Know your partner's love language, and for her, it's words of affirmation and acts of service. And love them the way they need to be loved, rather than the way you want to love them. Tana Amen:	Some people want to be decorated, okay? That's okay. Just know that. Natalie Buchoz:	I think that statement alone is probably the best thing that has been said in these four episodes, is that you need to understand your partner and their needs, what they're looking for, as opposed to what you want. Natalie Buchoz:	Because I think it's so easy for us as humans to just go, "I want to see this movie, and I think he'll like this movie, so we're going to see this movie." Tana Amen:	Or, you think you're doing the right thing, because your love language might be gifts. So, you're showering someone with gifts, and they're like, "Why is he so irritating? How come he doesn't show me that he loves me?" Tana Amen:	And he is showing you that he loves you. But he's doing it in his way, not yours. Natalie Buchoz:	Right. And then, let's talk lastly about communication. Is there anything that you would recommend to our viewers to keep that dialog of open communication open in a relationship, and are there specific things that you two do daily with each other, to make sure that those lines stay open? Tana Amen:	I have two things. Natalie Buchoz:	You first, ma'am. Tana Amen:	Grace. Number one, I have to know that even when he says stupid things, because occasionally it happens, what was his intention? Tana Amen:	I give him the benefit of the doubt that he's never trying to hurt me. He may say something stupid, but was he trying to hurt me? So, that's number one. Know what the intention is. I know that his intention is to have a good relationship. So, even if he hurts my feelings, it's like, "That was really stupid." But I know what the intention was, and that's why I can get over it quickly. Tana Amen:	And the second one is grace. Because you're going to need it, too. Just FYI. Okay? So, if you want grace given to you, you've got to give it back. Natalie Buchoz:	Yes. I love that. Daniel? Dr Daniel Amen:	I think one of the most important things is listening. When you're talking to your partner, or your child, try to give more space in the conversation. Tana Amen:	You're good at that. Dr Daniel Amen:	Too many people, they want to say what's on their mind, and they just jump in, without giving appropriate space, or without repeating back what you hear. It's like, "Oh, you meant that. So, let me just tell you how it's going to be." And that just kills communication. Dr Daniel Amen:	And there are a lot of people who are extroverts, and they use a lot of words. But it may not be serving your relationship. Tana Amen:	I just have to say something funny about that. Because you're so good at it, you're so good at listening. But sometimes you'll be on the phone, and Chloe or I will be talking to you, and you'll give space. And all of a sudden, we're like, "Hello? Hello? Where'd you go?" And you're trying to give space, but most people are so not used to it, that we're like, "What happened? Where's the connection?" We're used to people jumping in. See? That's space. Dr Daniel Amen:	It's called "active listening". They teach all therapists to do it. You should have learned this in Third Grade. Tana Amen:	It's not easy to learn, but it's very helpful. Dr Daniel Amen:	It's easy to learn. It's not easy to practice. Tana Amen:	Yes. That's better said. Dr Daniel Amen:	It's not easy to practice. And underlying all of this, if you're doing the things that we're talking about, you're being a good listener, and you're intentional in your behavior, and your relationship's still suffering, you should come to one of our eight clinics and get scanned. 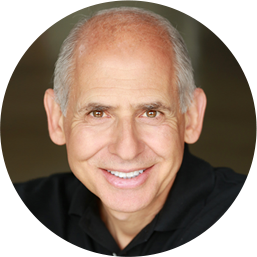 Dr Daniel Amen:	It's often the wildcard, the missing piece, that you have underlying ADD that's never been treated. Or you have OCD, that's never been treated. Or you've had a head injury, or you have some old exposure. Dr Daniel Amen:	I did this study once called "The Couples From Hell" study, where we scanned 500 couples who failed marital therapy. Dr Daniel Amen:	Nearly 90%, one or both of the people in the relationship had a brain that could be improved, and if you improve your brain, your relationships get better. Tana Amen:	It also helps you to just understand the people that you're having relationships with. So, for example, my mother. Seeing her brain not only explained her to me, it explained my whole childhood. Tana Amen:	But also seeing my daughter's brain, she's a really good kid by any standard. You know her. She's this really good kid. But there were things about her, because I'm so different, the way I communicate, the way I do things, so different, that I couldn't understand. Tana Amen:	So, seeing her brain, all of a sudden, I went, "Oh. Okay. So, she's never going to do it like I would do it." And just seeing how anxious, her brain's so much more active than mine. I have ADD, she has an overactive brain. She's never going to do it the way I would. Tana Amen:	But seeing that helped me understand why she does what she does. And it just helped me let go. Natalie Buchoz:	Yeah. And it helped you understand her, and to be able to live with her, and to work with her. Tana Amen:	And just get it. I get it. 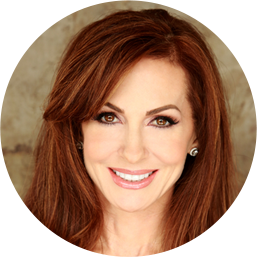 Tana Amen:	So, I no longer get frustrated, like, "Why aren't you doing this this way?" Dr Daniel Amen:	It adds empathy and understanding, and a path to treatment. Dr Daniel Amen:	Well, thank you so much for being with us. Tana Amen:	It was awesome. Natalie Buchoz:	Thank you for having me. Dr Daniel Amen:	We're going to invite you back. Tana Amen:	We didn't get to the other types of love, but this was so important. Natalie Buchoz:	We have a lot more to share. Tana Amen:	If you're enjoying the Brain Warrior's Way podcast, please don't forget to subscribe, so you'll always know when there's a new episode. Tana Amen:	And while you're at it, feel free to give us a review, or five-star rating, as that helps others find the podcast. Dr Daniel Amen:	For more information, give us a call at 855-978-1363.